We made the most of our short 24 hours in the Maldives. 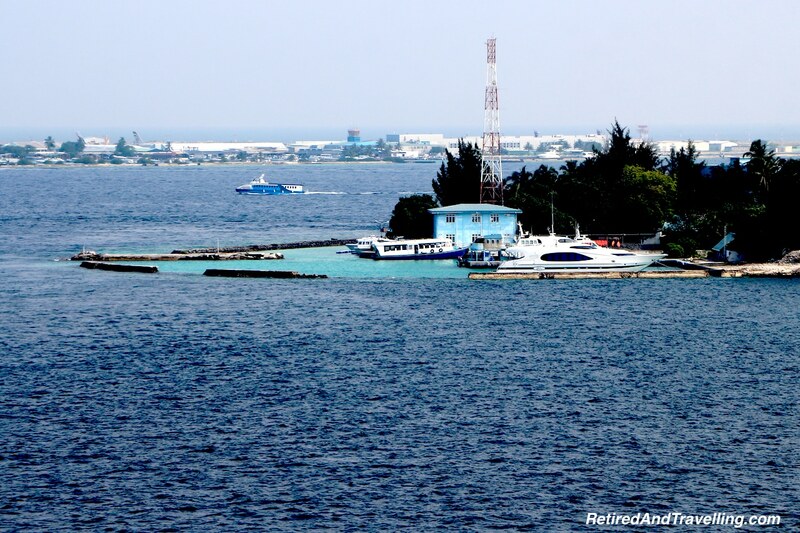 On the first day we toured the main island of Male. But we were most excited about snorkelling in the Maldives! 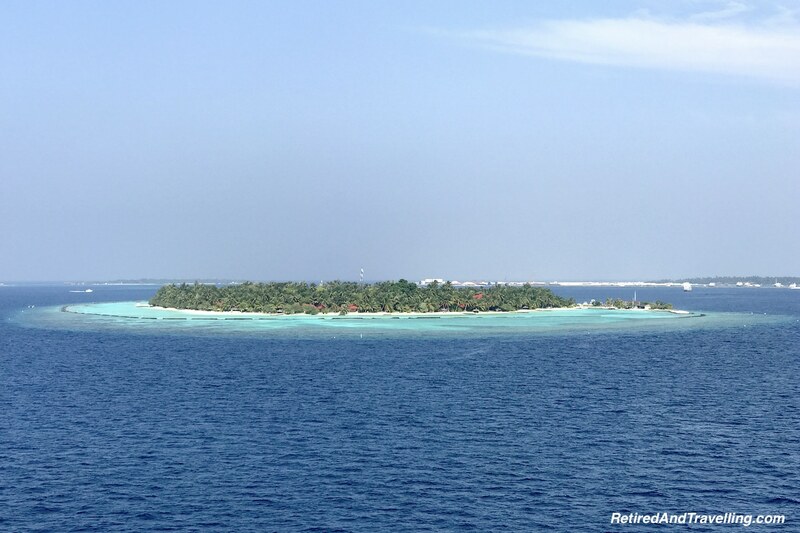 On our transit through the islands of the Maldives, we got a glimpses of the crystal blue waters. We couldn’t wait to explore the underwater life. 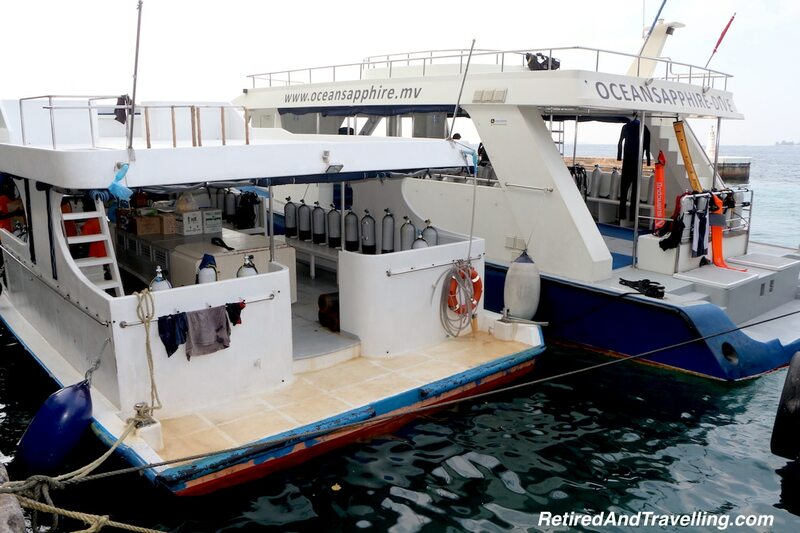 We had originally planned to scuba dive in the Maldives. However, the short stay and ship’s schedule made it very hard to book something. We did not dock until 3pm and would leave at noon the next day. 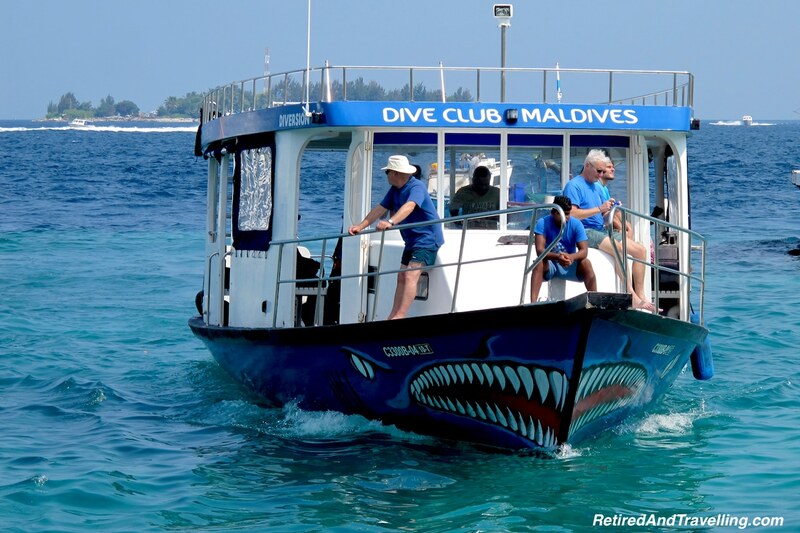 Most of the regularly scheduled dive tours could not accommodate these times and booking private tours were very expensive. 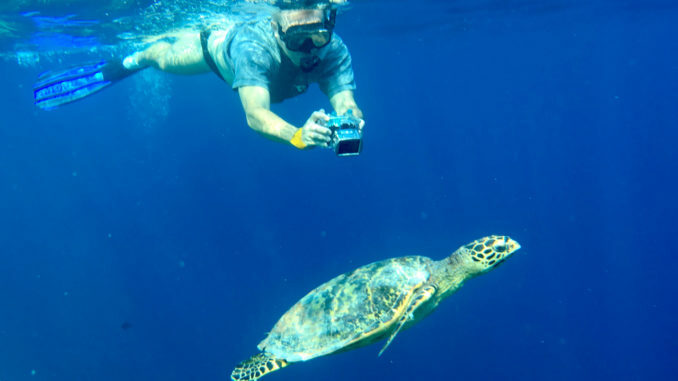 Our new travel friends had booked snorkelling in the Maldives with the same tour company that provided our walking tour. They were happy to add on two more people. Greg and David made sure we got an early tender boat off the cruise ship. We wanted to maximize our time underwater! As we wandered along the dock, we passed several large scuba boats. We gazed longingly at them as we passed. When the little boat finally pulled up, I was happy to find a covered top. I was much less happy to see the very small ladder that we would have to use to get back out of the water. There was about 4 hours before we needed to be back at the dock. We did not want to miss our ship sailing. The next stop was 2 days later in the Seychelles! 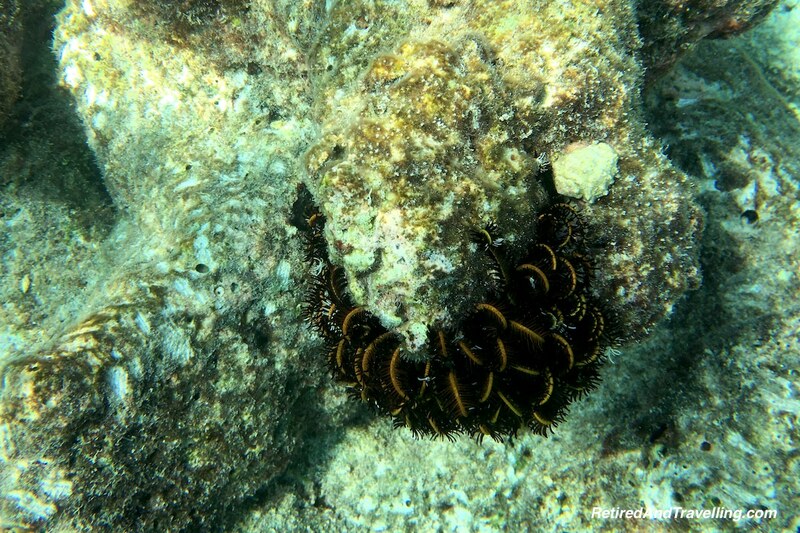 We wanted to have a great snorkel experience but we needed to stay close in the waters around the main island. The first site we stopped at was supposedly a turtle hangout. Greg went off with one of the guides while David and I swam with the second guide. David was moving at his own turtle pace but we never did find any turtles. The coral was very bleached and dull in colour. There were some smaller fish but the visibility was not great. We were happy to move to the second spot. The second spot we stopped at was by a fish packing pier. Apparently this was the spot that the manta rays hung out. We were not going in the water until we were sure there was something to see. After 5 minutes and a discussion with some fisherman on the pier, we decided to pass on this site. No rays had been seen. 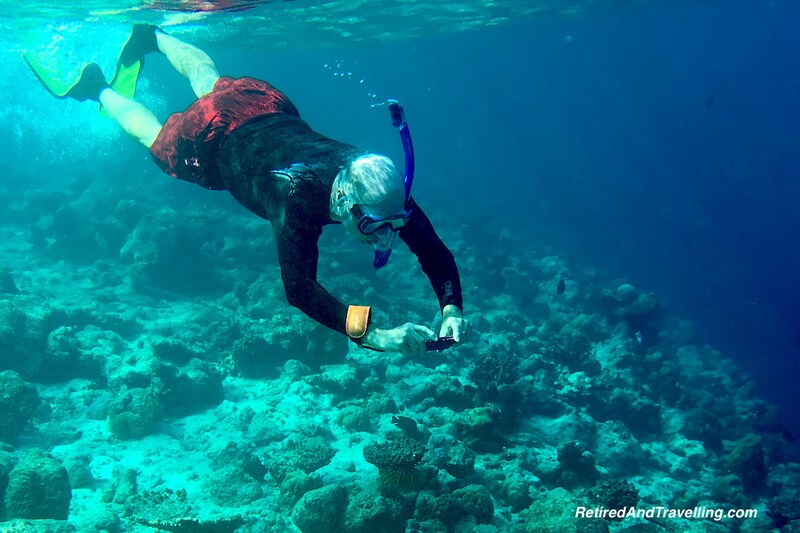 We were worried that snorkelling in the Maldives was not going to be a great experience. 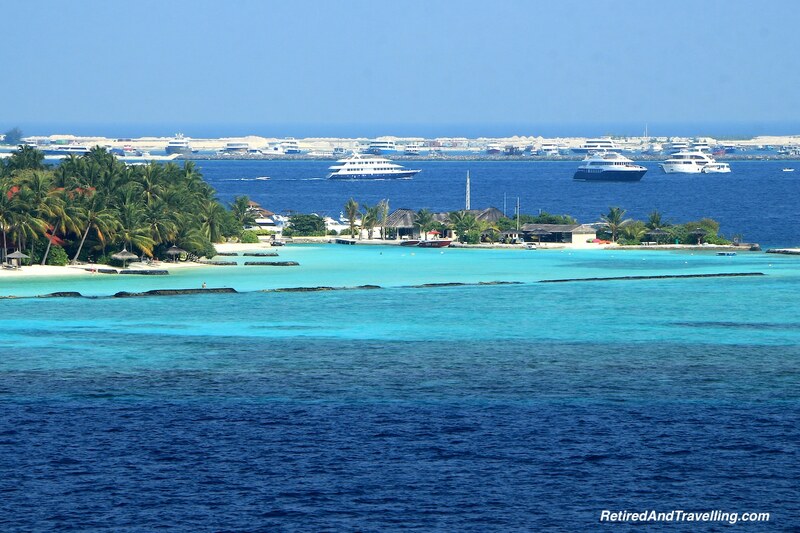 The final spot we arrived at was one of the many private island resort house reefs. 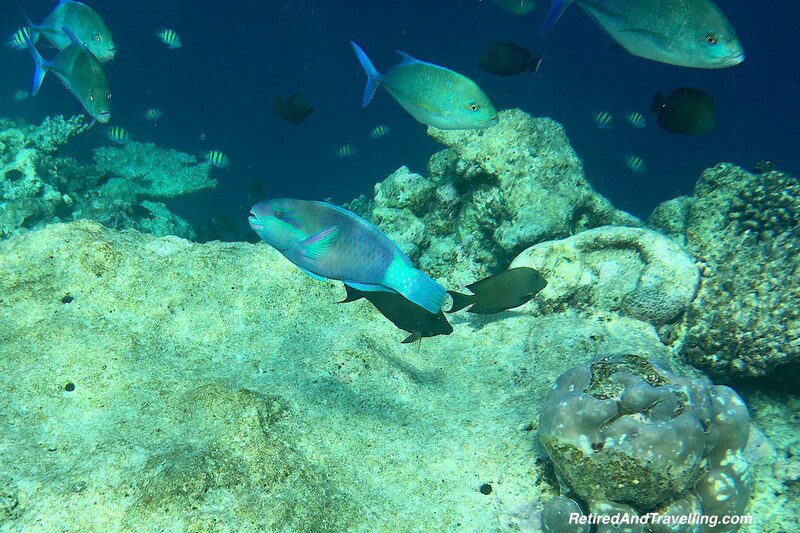 We could swim on the outside of the reef, floating with the strong current. 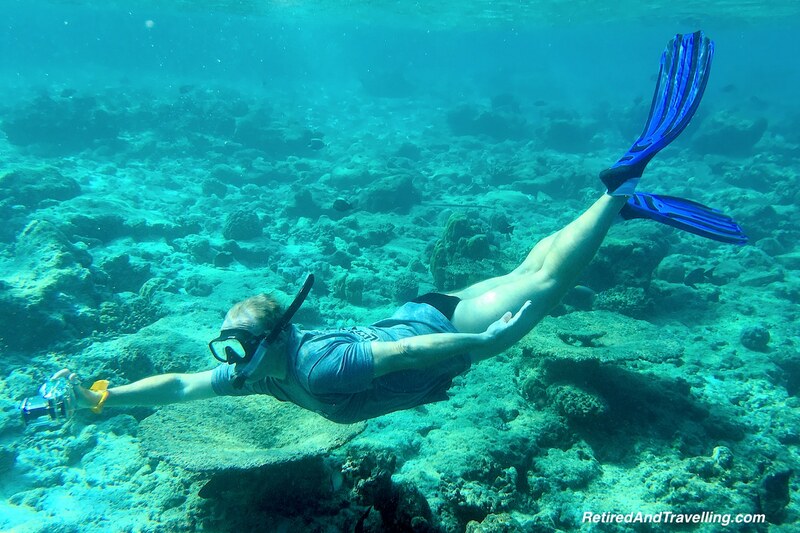 It took no time to know that we had found a great spot for snorkelling in the Maldives! Very shortly after we got in the water, our guide was pointing out a turtle. Of course everyone went to get a closer look. As if the turtle was not exciting enough! I turned around to see David headed off. 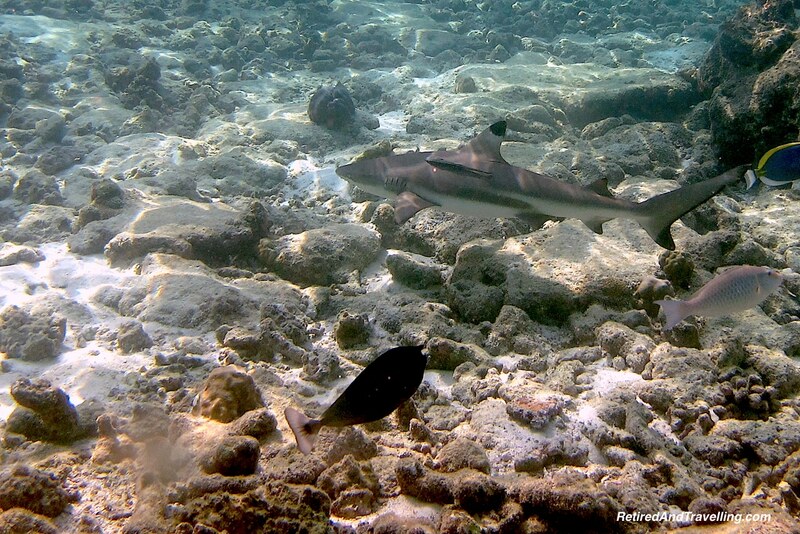 It was not until later that he showed me he had been chasing after a black tipped reef shark! 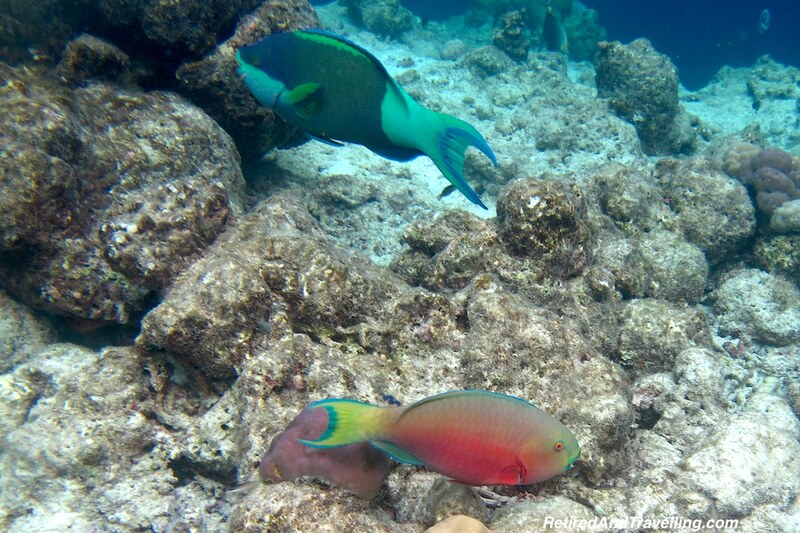 We saw a wide variety of colourful fish. We all had underwater cameras and it was sometimes a contest to see who got the best shots. 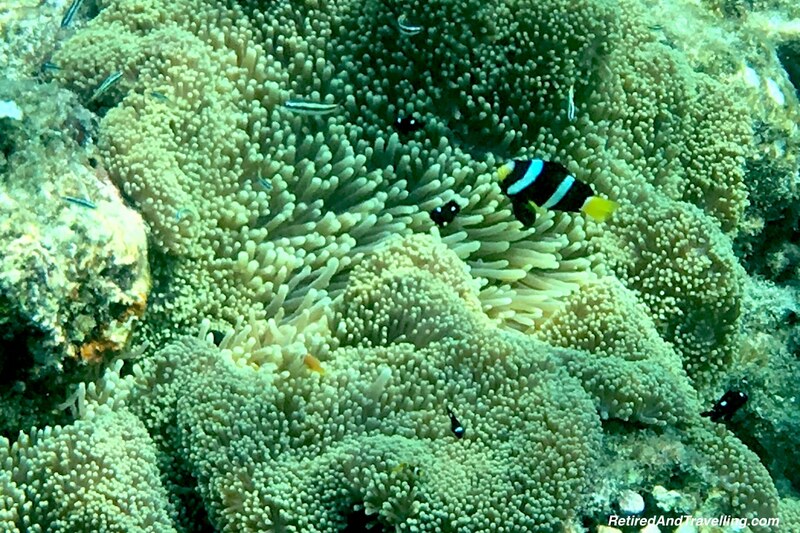 At one point we all hovered over the anemone to see the nemo fish hiding. We didn’t stay long in that spot. 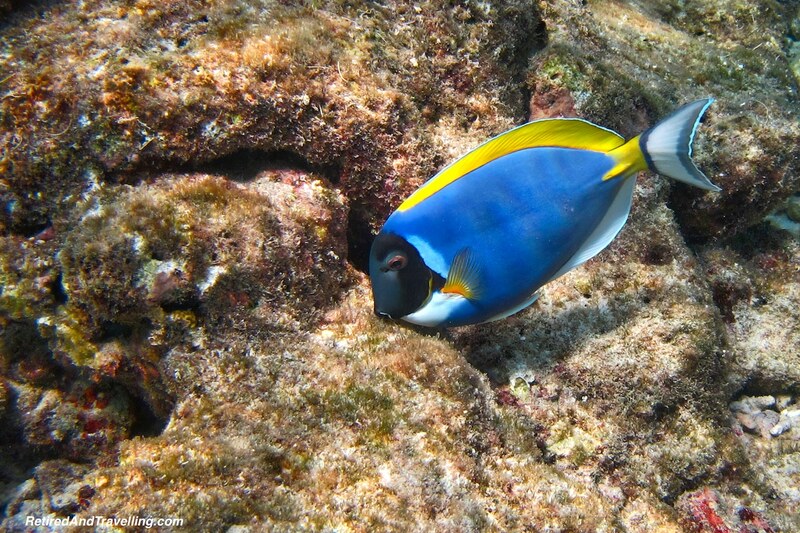 We had seen nemo fish when we went scuba diving on the Great Barrier Reef earlier in the year. 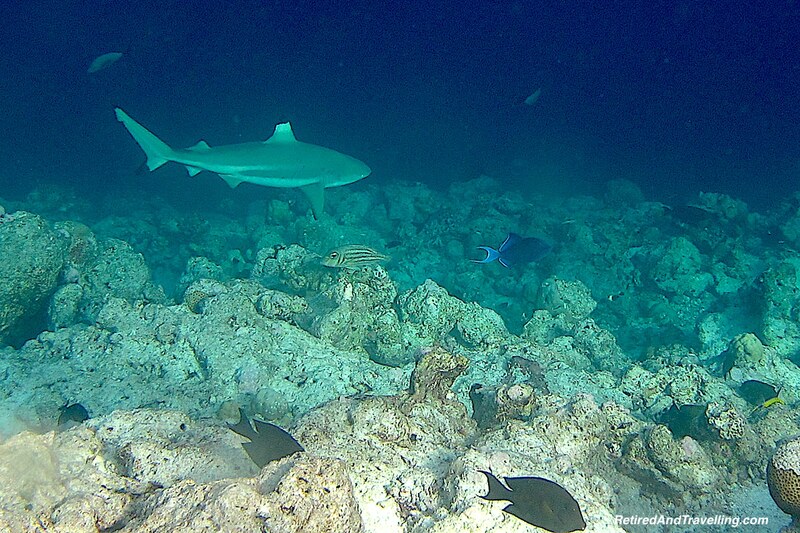 When we finally hit the end of the reef, our guides offered to take us to a fourth spot. 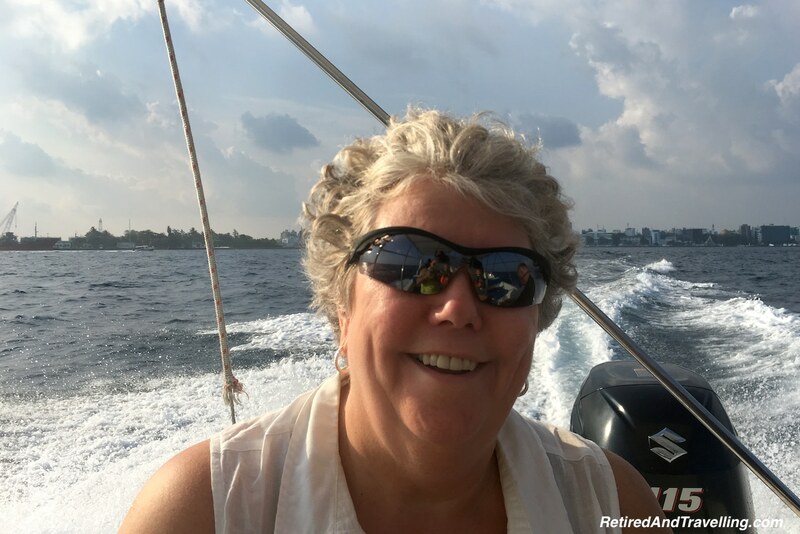 When they noted that it probably would not be as good as this one, we hopped on board to start back at the beginning of this reef again. This was a great choice as we saw even more fish on the second float by. 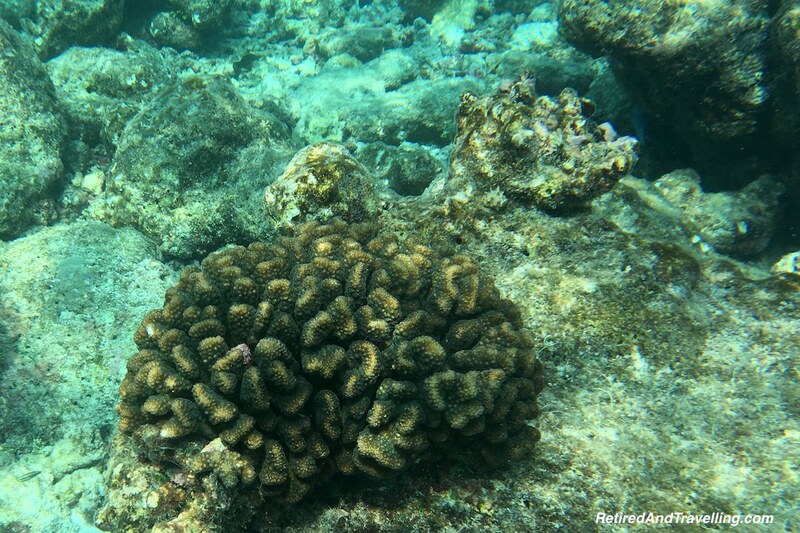 We found interesting coral that we had never seen before. 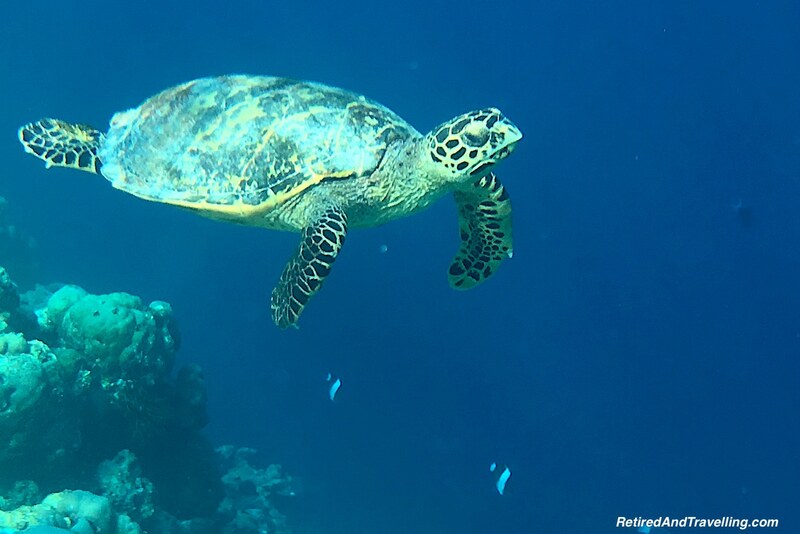 Swimming about in the shallower waters got us another view of the reef shark and a more colourful view of the green sea turtle. When we all got back in the boat, we were smiling ear to ear. 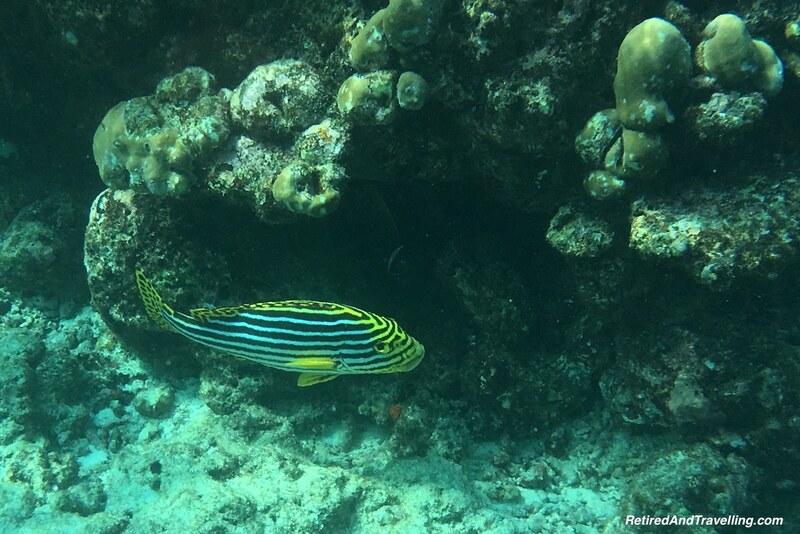 We had certainly had a great experience snorkelling in the Maldives. 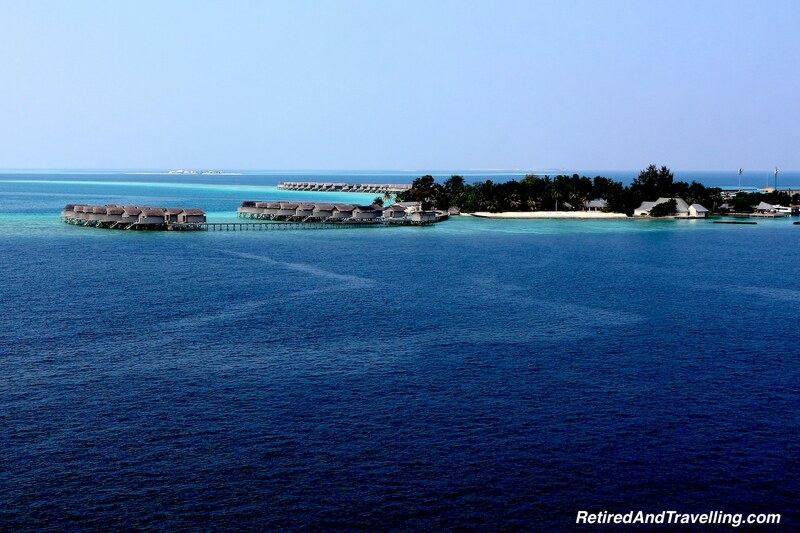 Our short visit to the Maldives left us wanting more. 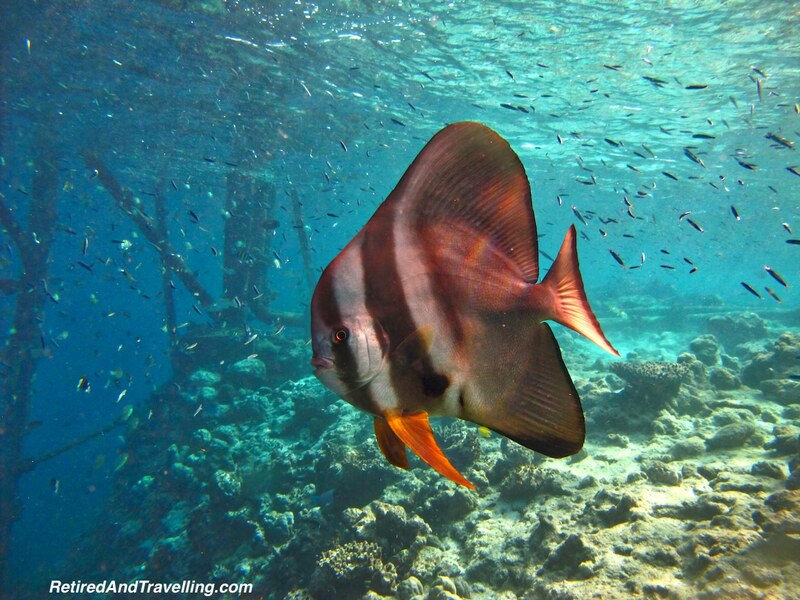 While we had enjoyed snorkelling in the Maldives, we really wished we had gone scuba diving. 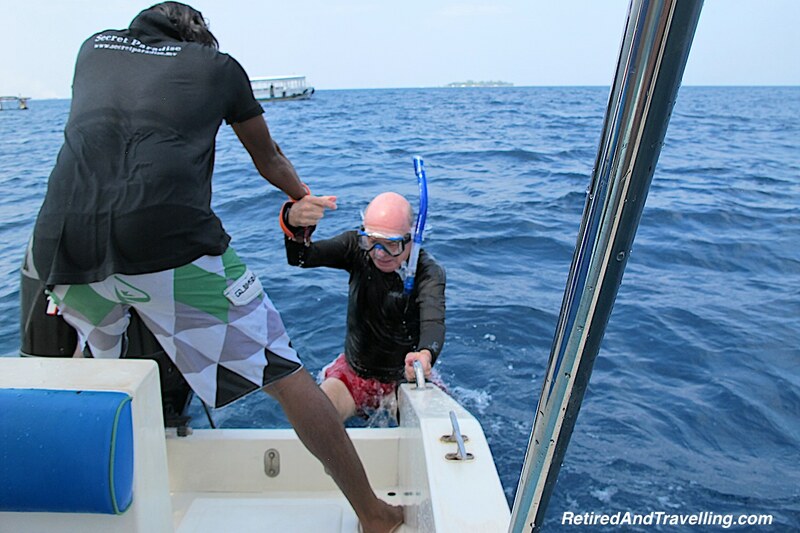 This taste test of the underwater world of Maldives ensured that we will return to dive. We were excited to be heading to the Seychelles next. 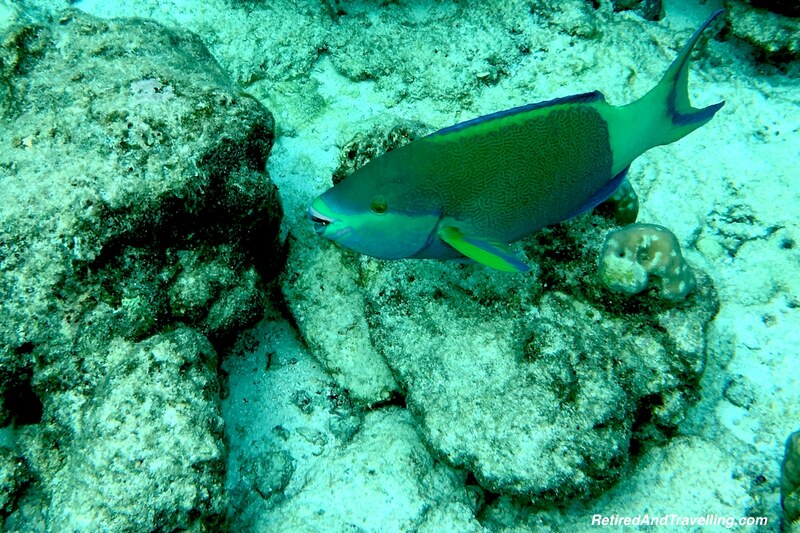 Yet one more chance to explore underwater! 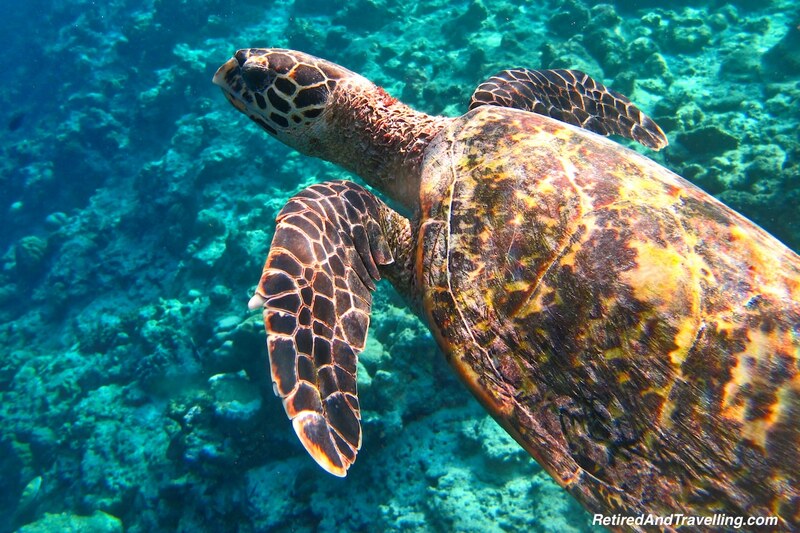 Did you go snorkelling in the Maldives? 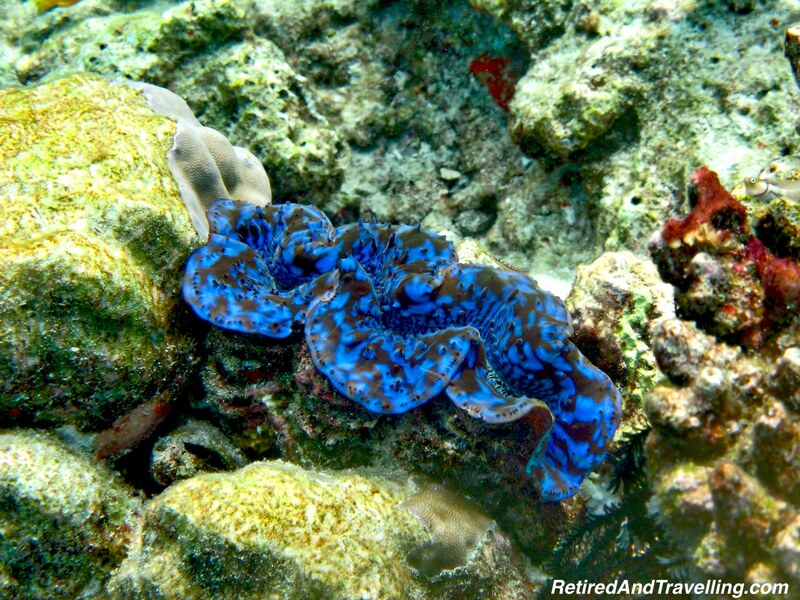 If you tried scuba diving, was it awesome? What islands and/or resorts would you recommend we try?